New lap record for TB! 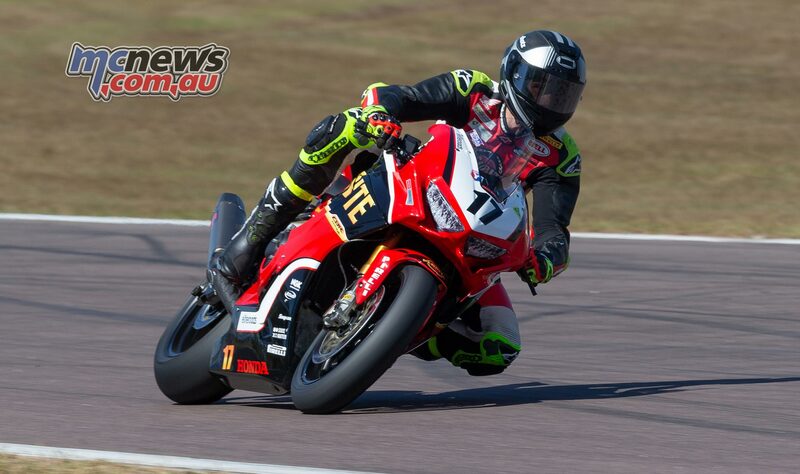 A clear sky and warm conditions greeted ASBK competitors this morning at Hidden Valley Raceway, the 2.87 km circuit situated 12km east of Darwin City, the Northern Territory capital. One young bloke that got out of bed on the right side this morning was Tom Toparis. 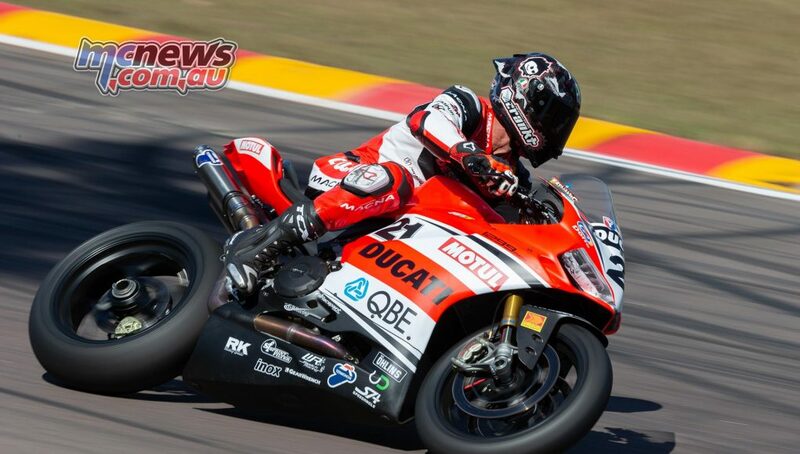 The 18-year-old dropped in a stunning 1m08.059 early in QP1. 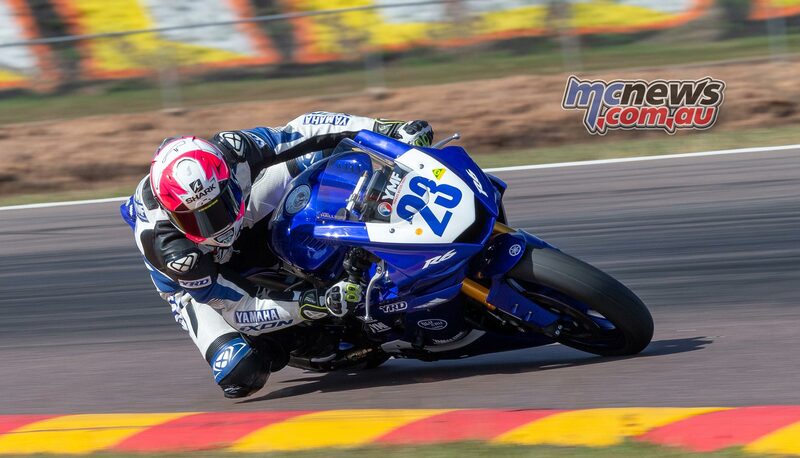 Both Toparis and Cru Halliday had already gone under the previous Supersport lap record on Friday, but this morning both men were knocking on the door of the first ever 1m07s lap of Hidden Valley on a Supersport bike. Halliday responded to Toparis’ 1m08.059 with a 1m08.028 to move back to the top of the leader-board before then becoming the first man in the 7s, a 1m07.951 in the dying seconds of QP1 earning Cru Halliday a new lap record. 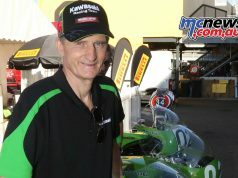 The previous Supersport race lap record was set by Ted Collins last year on 1m09.153 while the qualifying record had belonged to Mark Chiodo on 1m08.715. Both Halliday and Toparis smashing those markers this morning. Max Croker and Lachlan Epis also joined the 1m08s club today, a 1m08.703 for Croker and 1m08.986 for Epis. 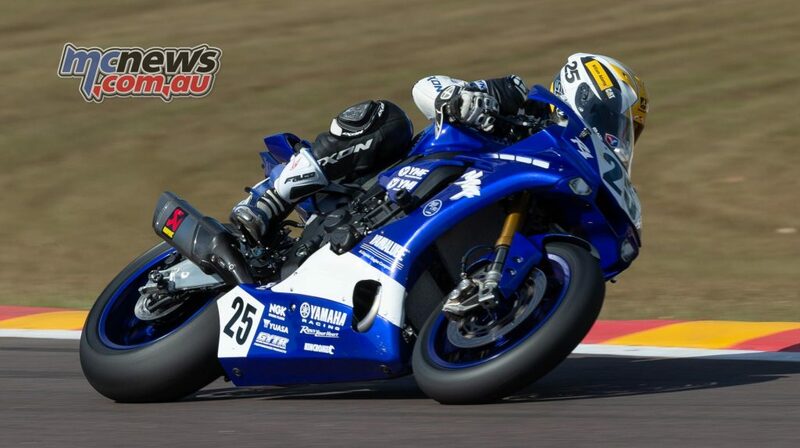 New ground was also broke in the Supersport 300 class with Oli Bayliss and Seth Crump the first into the 1m17s. Oli Bayliss the quickest at 1m17.702s to lower the qualifying record he set here last year by more than a full second. 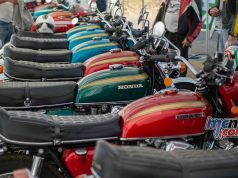 While there had been very little wind for the other categories, a breeze had started blowing up the main straight when Superbike competitors hit the track on schedule at 1040 this morning. Troy Herfoss set the pace yesterday, the Penrite Honda man spectacularly brave into turn one each time around. 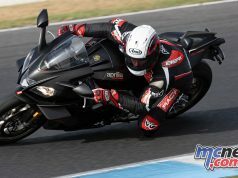 Close behind on Friday was Troy Bayliss, his Ducati 1299 Panigale R Final Edition visibly faster than we have seen it before, a fact remarked on by some of his competitors. A new exhaust system and some tuning changes bearing some powerful fruit. Unfortunately there is no speed trap here at Hidden Valley Raceway to give you actual numbers but trust me, it’s fast! Neither Bayliss nor Herfoss were in any hurry to take to the track this morning though, both men no doubt saving tyre wear. Daniel Falzon and Bryan Staring were also happy to sit out the first half of the session. 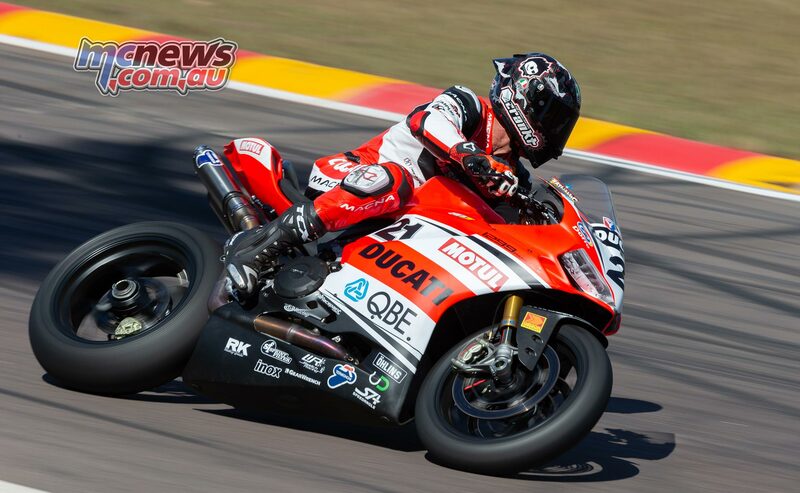 Troy Bayliss went straight to the top of the charts on his first flyer, a 66.225s lap put in just before the halfway mark of the 30-minute session. TB then dropped in a stunning 1m05.601 on his next lap, well under the 1m05.986s lap record set here by Josh Waters last year. 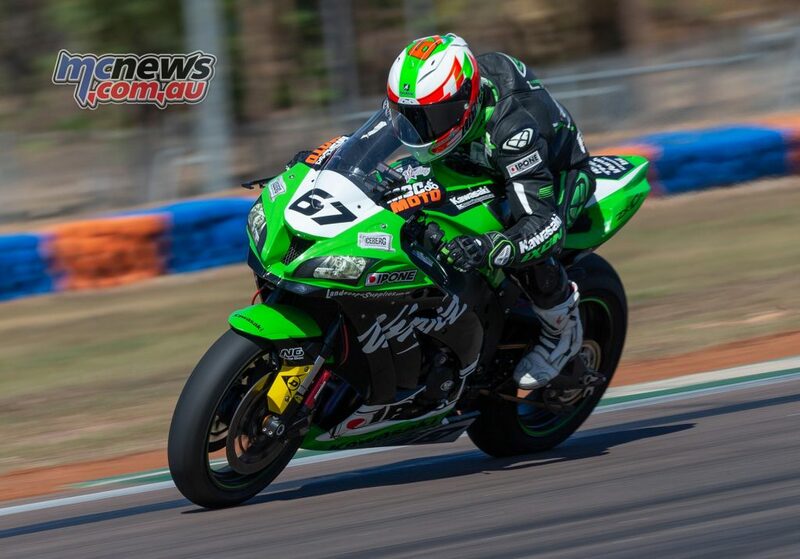 Bayliss only did three laps during the session but that was all he needed to take provisional pole and send a shot across the bows of his competitors and declare that he was on a mission to win here in Darwin. Josh Waters had gone out a little before Bayliss but crashed at turn ten. 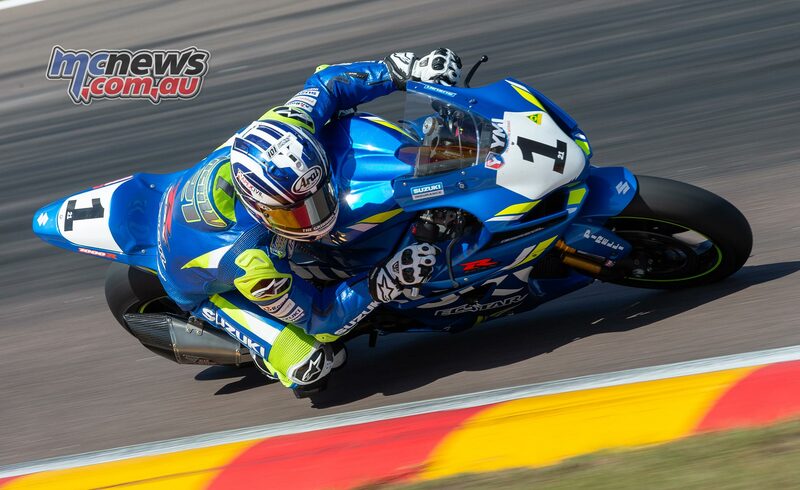 He quickly remounted and returned to the pits but it’s fair to say at this stage of the game that Josh and the Ecstar Suzuki squad are going to have to turn things around if they are to emulate the double-victory success they enjoyed here last year. Waters finishing QP1 ninth quickest, just behind his young teammate Mark Chiodo. Bryan Staring went out late in the session and lowered his previous 1m06.401s best from yesterday to a 1m06.088s before returning to the pits. The BCperformance Kawasaki man putting only four laps on his Dunlops in the session, but that was all he needed to finish Q1 in second place behind Bayliss. Daniel Falzon clocked up quite a few laps in the second half of the session but crashed at turn five while on his tenth lap. The South Australian was quickly back up but had to settle for fourth quickest this morning, a 1m06.376 making him the fastest Yamaha. Troy Herfoss finally joined the track with seven-minutes remaining. TB was in the pits watching the monitors, wondering if the Honda man was going to spoil his party. In Herfoss’ first time attack he was fractionally quicker to the first split but marginally slower at the second and then lost time in the final sector. The Honda man put in a few more laps but failed to get a really clean run which meant he also failed to improve on the 66.033 he set yesterday, ending QP1 third quickest on 66.228. Jamie Stauffer put in a lot of laps during Q1 and ended the session an impressive fifth quickest ahead of Wayne Maxwell and Glenn Allerton. Arthur Sissis rounded out the top ten a fraction behind Waters but ahead of Glenn Scott, Matt Walters and Kyle Buckley.